Hawaiian Bigeye tuna tower with sesame wonton crisps is an elegant recipe created to impress. Bold flavors of delicious fish with the crunchy baked spiced crackers will leave you wanting more! Are you looking for an easy and elegant appetizer to wow your guests? I’ve got a beautiful Bigeye tuna tower recipe inspired by the Hawaiian Islands that is made to impress. Using just a few simple techniques, you can create a dish that looks like it could be served at a fine dining restaurant. This tuna tower is one recipe that we love to order whenever we go out for date night. The first time I tasted something like this was at Roy’s in Waikiki. It was so light a delicious! I couldn’t wait to recreate a version to share with you. The key ingredient is using the highest quality fresh Grade #1 Bigeye tuna from Luxe Gourmets that is served at Michelin star restaurants, yet it can be delivered right to your front door! Bigeye tuna is one of the most popular tuna species in Hawaii, which they call “chill” and after you taste this delicacy, you’ll know why! Bigeye tuna has a wonderful mild flavor and tender texture. It’s perfect for sashimi or tossed in savory ingredients like for this tuna tower. You can even apply a sesame crust and lightly sear it or soak in a marinade and cook it all the way through for a heartier dish. The versatility of Bigeye tuna allows you to get creative in the kitchen with endless tasty options. Delicate, crisp and irresistibly addicting. 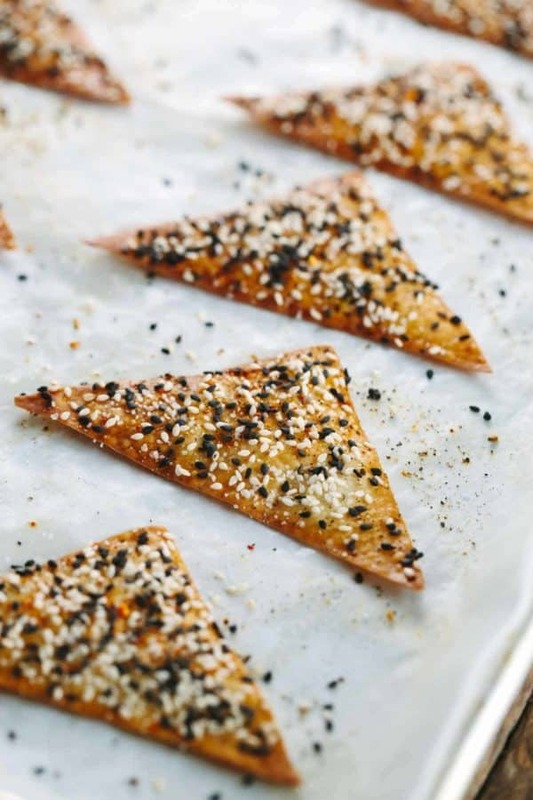 These are the EASIEST wonton crackers you will ever make, and probably the tastiest. The best part is that they are baked! I’ve always fried wonton wrappers to top on salads, or as crisps. For this recipe, I decided to minimize the oil needed by baking them. These came out so good, trust me! One side gets a light spray of oil of your choice on one side. Then the other takes a little bit of egg white brushed on top to help the spices and sesame seeds stick better to the surface. In under 10 minutes, you’ll have the tastiest little wonton crisps to nosh on. I could seriously eat a whole tray, but it’s even better with the tuna! I’m all for edible silverware, how about you? The bold flavors of the delicious tuna enjoyed with these crunchy spiced wonton crisps will leave you wanting more. Will you be nice and share? This easy appetizer will start any gathering off right! Premium quality tuna, paired with island-inspired ingredients and flavors makes for just the right dish to get your guests to congregate and enjoy together. What will you serve for your main course? I may go with some sesame crusted hamachi with soba noodle salad, as it pairs perfectly with the ahi tuna, yum! What is the best way to prepare fresh or frozen Bigeye Tuna? The most important thing is food safety when handling and consuming raw fish. Here are some helpful tips to keep in mind for the best experience. Make sure to purchase from a reputable company that carries sushi grade tuna. When you are ready to prepare your sashimi, one of the safest ways is to thaw the fish completely in refrigerated conditions. If frozen, I transfer the vacuum packed tuna from the freezer to the refrigerator the night before if I’m planning to serve. I like to buy disposable gloves when preparing and cutting raw fish also to reduce the risk of any contamination. Fresh or frozen, remove the fish from the packaging to a clean surface, pat dry with clean paper towels and keep covered and chill until ready to serve. Consume defrosted fish within 36 hours and do not refreeze. Hawaiian Bigeye tuna tower with sesame wonton crisps is an elegant recipe that is created to impress. Bold flavors of delicious tuna with the crunchy baked spiced crackers will leave you wanting more! Place oven racks in the center of the oven and preheat oven to 375°F. Line two baking sheet trays with parchment paper, set aside. In a small bowl combine white and black sesame seeds, set aside. Cut 10 wontons in half to create triangle shapes. Place the triangles on the baking sheets, about 1 to 2 inches apart. Lightly spray the wontons with vegetable oil and then flip over. Lightly brush the top side of the wontons with egg whites. Season with a little bit of salt, pepper, togarashi and sesame seeds to coat the surface of each wonton evenly. Bake one sheet at a time, 8 to 9 minutes, rotating halfway through. Wontons are ready when crispy and golden brown in color. Cool on the sheet until ready to use. Bake and cool the next tray same as directed for the first batch. Store in an airtight container for up to 3 days. In a medium-sized bowl combine diced cucumber, mango, and cilantro. Cover and place in refrigerator. In a separate medium-sized bowl add diced tuna, sesame oil, sriracha, soy sauce, ginger, chives and rice wine vinegar. Cover and place in refrigerator. In a small bowl combine sriracha and mayonnaise or yogurt. Set aside. In a small bowl combine wasabi, mayonnaise or yogurt, and water. Set aside. In a 3-inch round ring mold (4 inches tall), placed in the center of a plate begin to build the tower layers. Add 6 tablespoons of the cucumber mango layer. Lightly press down with the back of a spoon to create an even and compact layer. Add 6 tablespoons bigeye tuna on top of the cucumber mango layer. Lightly press down to make a compact layer. This should yield about a 2 ½ inch high tower. Transfer plate with the tower to the freezer to allow the layer to set for about 15 to 20 minutes, this will help the tower stay together better. Do not leave in the freezer longer than 20 minutes. Transfer to the refrigerator if not eating right away, the tower can be made up to 3 hours ahead of time when refrigerated. Make a second tower if desired, repeating the same steps. Before unmolding, if you see any liquid seep from the bottom of the mold (from the cucumber layer), use a paper towel to soak up and clean. While the tower is still in the mold, place half of the thinly sliced avocado on top of the tuna. Slowly remove the mold, then add the microgreen on top. Decorate plate with some sriracha and wasabi sauce as desired. Use a 3-inch round biscuit cutter and a 4-inch high piece of clear plastic acetate (bakers use these for mousse cakes) and place the acetate inside the mold to give you more height to fill. Use a 1 cup measuring cup; add the tuna layer first, and then a cucumber mango layer. Add ¼ cup of each layer instead of 6 tablespoons. Refrigerate or freeze (20 min), then flip over and unmold when ready to serve, top with avocado and microgreens. 2) The recipe makes 2 poke towers. If you only want to make 1 tower, cut the recipe in half. Thank you to Luxe Gourmets for providing the luxurious Bigeye Tuna and for sponsoring this post! Join in on #SashimiSummer with #LuxeGourmets for more delicious seafood inspiration check out Luxe Gourmets on Facebook and Instagram. That looks beautiful. We could never afford that tuna but it gives me ideas for making other things in round stacks. I do appreciate the link to the tuna and other things you use though. You never know. Thank you for another lovely recipe that feeds the eyes and the body. Thank you SO much Judy! This tuna is certainly a treat since it is of highest quality, but it is so worthwhile and the best bigeye tuna i’ve ever had 🙂 Yes, you could absolutely used the stacking technique for many different kinds of recipes, let your imagination run wild! Sorry Jessica, at 59.00 per lb this puts me out of the market. I wouldn’t/couldn’t even pay that much for the choicest beef. I like Asian recipes, just not all the time. 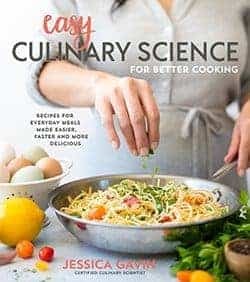 You are a wonderful creative chef however, and I know we all appreciate your lovely and vibrant recipes. I totally understand Scarlett, this tuna is definitely of premium quality and a treat. It is absolutely the best bigeye tuna I’ve ever had! However I’m sure you could find some more affordable options of sushi grade ahi tuna at your local grocery store so you can still enjoy the recipe 🙂 Thank you for your kind comment, I love sharing recipes with you! You have me excited for my birthday in September since I just showed this to the husband and told him it’s what I want for part of my birthday dinner. Every once in a while we like to splurge on some great tuna like this. Thank you for sharing…I can’t wait! You absolutely should treat yourself to this luxurious fish Debra! I’m so happy that you will get to try it for your birthday 🙂 When is the big day? Mine is on the 28! Wow. Beautiful and i bet it tastes delicious!! how many towers does this recipe make? is it one to share for 8 servings? Hi Esther! One tower could serve about 4 people and the recipe makes 2 towers. It says it serves 8 people. Which means that each person gets served 1 tower. Is this correct? I have made several towers for dinner parties and they aren’t shared, everyone gets a tower. Great question Christene! The recipe makes 2, 3-inch wide towers, each with about 4 servings as a shared appetizer. You can make 4 smaller towers, or double the recipe to make more. Thanks! 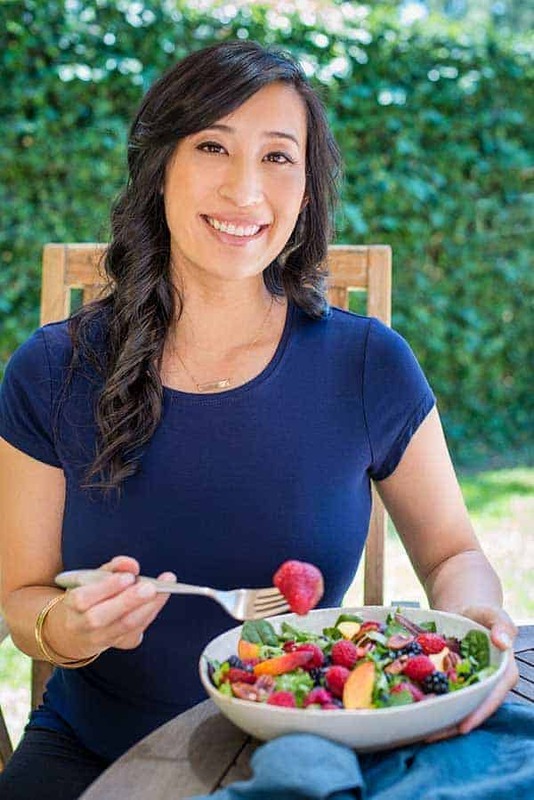 Thank You for this recipe I wowed my wife with it using ahi tuna we brought back to Florida from Pike Place Market (yes the fish tossing guys) I think this is now the favorite thing I make for her thanks to you. Wow, that sounds lovely! What a fun food adventure, I’m so happy you go to share it with your family. Happy to hear your wife enjoyed the recipe!